Rev. Darrin Harvey of First United Church of Christ speaks during this year’s Palm Sunday service. 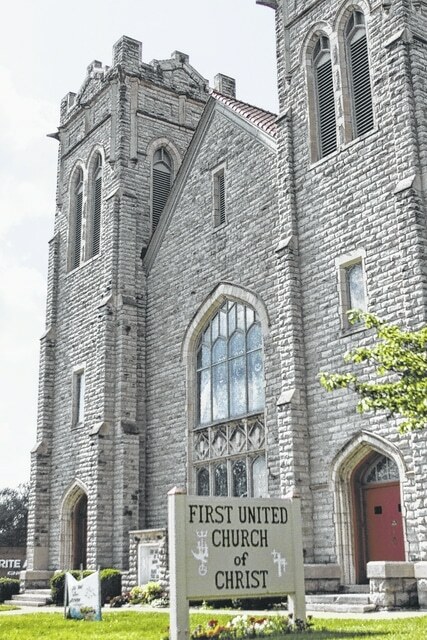 First United Church of Christ is located at 248 Harding Way West in Galion. Rev. Darrin Harvey loves the history of First United Church of Christ in Galion, but also has his eyes on the future. The church offers both traditional and contemporary services. The pastor said his congregation is accepting of others from the community and there is a lot of interaction in the services. Harvey says he’s working to learn more about Galion. Harvey started at the church in November and said he feels Galion is open to faith. Harvey said the church has been adaptable to meet the needs of the community. The pastor says he has big plans for the future. In the future, he plans on having a grief seminar, parenting and marriage classes and Bible Study classes.